How to Bury Tax Law Quandaries with iPad POS? As an entrepreneur, paying taxes is part of your daily business life. There are various tax laws which you must obey and remain compliant with, including services taxes, sales tax, and property tax. A cash management system is, therefore, one of the most important assets for any small business. Thanks to technological advancement, you don’t have to go through the struggles of the traditional electronic cash register. All you have to get is the iPad POS (point of sale) system, and you will be amazed by the ease with which you will stay tax compliant. In addition, there are several other unrivaled benefits. The cost savings from using the iPad POS system start right at the buying point. You will have to part with more than $20,000 to buy a complete traditional point of sale system. On the other hand, you only have to pay around $1000 for a complete iPad POS system that comes with an iPad, a receipt printer and a cash drawer. Even with the monthly fee which can be as low as $69—according to your choice of package—the difference is a lot of money which can be channeled elsewhere in the business. Calculating the total amount of tax money paid over a long period of time is not only tiring but time consuming. The automatic tallying of the amount of tax money collected in a year by the iPad POS is, therefore, a great reprieve for accountants. Moreover, you only need to enter the tax guidelines into the system once. In many countries, small businesses are required to comply with goods and services tax (GST). In other words, there is a distinction between the items that have a standard tax rate and zero-rated items. This means that there must be a print out of a receipt showing how much of the overall cost is tax. The iPad POS enables easy distinction between taxable items and items that are not subject to tax. Ecommerce is one of the easiest and most convenient ways of doing business. However, staying tax compliant can be difficult. In the US, for instance, the tax rate is determined by the state to which the item is shipped. Sometimes, you don’t have to pay any tax for exchange of goods and services between states. 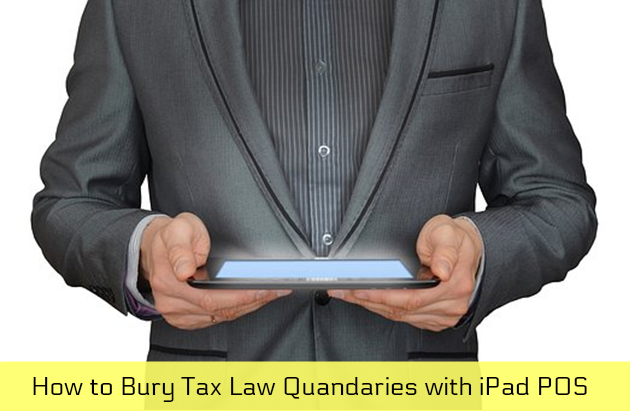 How to Bury Tax Law Quandaries with iPad POS? All this means that you have to be always on your toes in order to efficiently keep track of the taxes. With the iPad POS, nevertheless, you can rest easy knowing that it will keep track any tax law update. To make it easier, you can always synch your system across all your retail channels whether online, mobile or in-store. Customers don’t want to know anything about how much your taxes are or how and when you pay them. They just want to get what they want and pay for it as soon as possible. If you keep them in long lines as you manually enter your tax information at checkout, be prepared to lose some of them. With the iPad POS, keeping track of all your tax business, you don’t have to worry about keeping your customers waiting as you enter tax information for purchased items. If you own a small business such as a restaurant, the iPads portability will make it easier for your customers to pay their bills. Unlike with other types of POS, your customers do not have to move from their tables since your wait-in staff can comfortably take the iPad POS right where they are sitting. In addition, all you need are additional apps, and the iPad also works as a catalogue and inventory. This means that your customers do not have to move around the store sizing up different products before they make a choice—you can show them all what you have on your iPad. How to Bury Tax Law Quandaries with iPad POS? Most of the benefits of replacing your traditional POS system with the iPad POS or buying one if you have no POS system lie in the highly advanced technology. With the technology come lower costs of business operations and hassle-free tax compliance. Additionally, both your customers and employees have so much to gain. While your customers will enjoy better and faster services, your staff won’t have to do all the work associated with tax compliance. Moreover, they can make sales on the spot. Author bio: Sable Mc’Oneal is a passionate technology blogger. He is currently the content manager at http://sablecontent.com, a leading copywriting services firm. He has been writing contents on the web professionally since 2010. 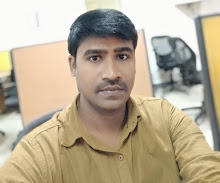 As an avid reader and blogger, he shares his experience through articles on Technology, IT, Internet, Travel, Education, Parenting and many more.